CKAP’s annual reports are listed here, dating back to year one – 1979. They are in pdf form and some of the older ones are scanned versions. The older versions can be slow loading so best done on a high speed desktop. The above image is a page from the the scan of Tom Parry’s original notebook where he kept CKAP (CMAP at the time) records. 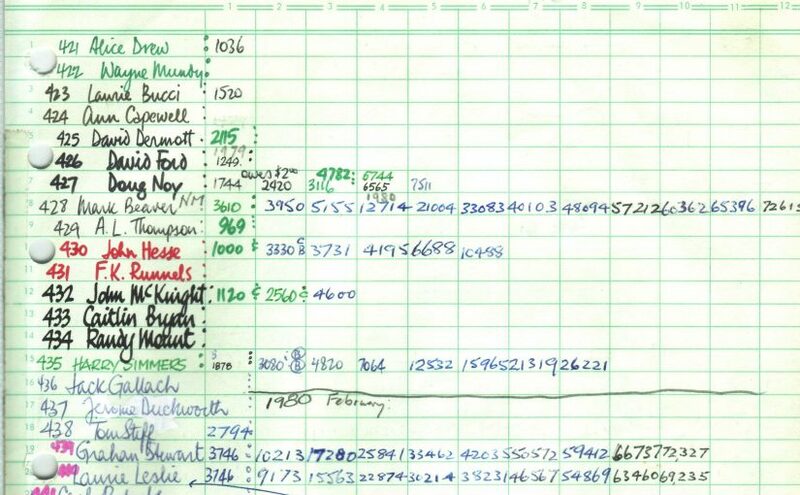 The hand written accounts run until 1996. This is a large file and loads slowly but worth a look. Tom Parry School Book CMAP Record. You may also find some of the other older files quite slow to load!